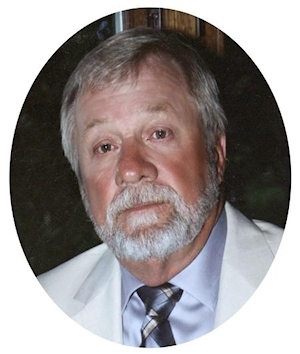 Obituary – Devlin, Michael Lewis « Perry High School Alumni Association, Inc.
Football 61-64; Basketball 61-64; Baseball 6164; Track 61-63; Home Room Pres. 62-63; Jr. Class Sec. 62-63; Letterman 61-64; Fellowship of Christian Athletics 6364; Speech Assembly 62-63. Mike Devlin, 68, of Perry, Oklahoma, was born November 5, 1945 in Stillwater, Oklahoma to William Ernest and Mary Elizabeth (Gunter) Devlin. He passed away Saturday, December 21, 2013 at his residence in Perry, Oklahoma. 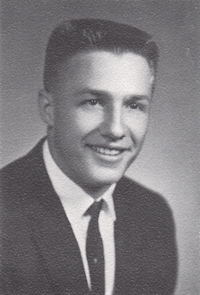 Mike was a graduate of Perry High School, Class of 1964. After high school he served his country in the National Guard. Mike also served the city of Perry as a police officer for the Perry Police Department from 1987 to 1988. In 1988 Mike became the police chief for the Perry Police Department and continued to serve in this position until he retired in 1992. During his retirement he ran his own pest control business from 1995 to 2009 when he became a pipeline inspector until his death. He enjoyed hunting, fishing, golf and going to the casinos. He loved spending time with his family and friends above all else. Funeral services will be held at 10:00 a.m., Friday, December 27, 2013 at the First Christian Church in Perry, Oklahoma. Rev. Martin Foster will officiate. Interment will be 1:00 p.m., Friday, December 27, 2013 at Fairlawn Cemetery in Stillwater, Oklahoma. Services are under the direction of Brown-Dugger Funeral Home. Mike is survived by his son Dustin Lewis Devlin of Yukon, Oklahoma; one daughter, Shala (Devlin) Indelicato and her husband Michael of Dallas, Texas; four grandchildren, Michael James Devlin of Stillwater, Oklahoma, Jadyn Mae Devlin and Alyssa Paige Devlin both of Yukon, Oklahoma, Katelyn Hope Indelicato of Dallas, Texas. He was preceded in death by his parents, Ernie and Mary Devlin; one sister, Karen Beth Grimes.